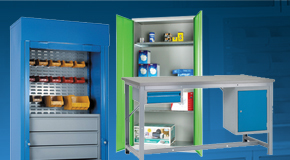 At G-Force Europe, we offer a range of industrial storage cabinets that are suitable for PPE equipment, first aid supplies, hazardous substances and much more. We also provide a variety of workbenches, from cost effective basic chipboard workbenches all the way up to our more premium heavy duty workbenches. 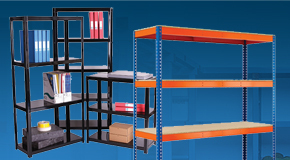 Complete the workshop or factory setup with some of our industrial shelving systems. We stock a wide range of solid steel storage cabinets that are assembled and ready to go out of the packaging. Unlike other cheap steel cabinets these are manufactured in Britain giving you trusted high standard craftsmanship. 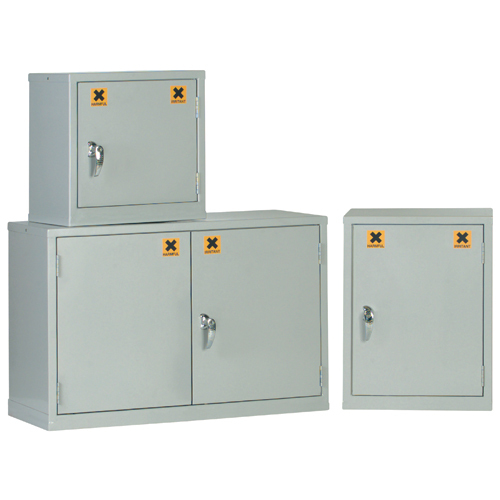 These are lockable cabinets allowing you to store safely. Wire mesh cabinets and vision cabinets are great if you are looking for cabinets you can keep your eye on the belongings for. They are also great for ventilation as you have constant airflow keeping the contents well ventilated which is good for reducing the build up of odours. We have them available in a range of dimensions and colours giving you more of a choice for your money. COSHH cabinets or also known as COSHH cupboards, are storage systems designed for storing and segmenting harmful substances and chemicals that are labelled as being hazardous when coming in contact with human beings. 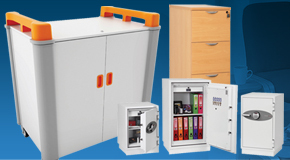 COSHH cabinets can store a range of substances, such as chemicals, paints, solvents and oils. 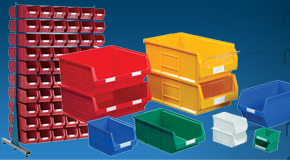 Perfect for use in warehouses, these cabinets are complemented by our full of warehouse equipment. The requirements of a COSHH cabinet will vary according to the risk assessments carried out by employers. 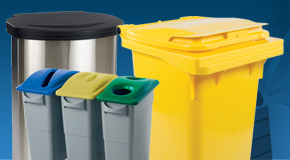 These cabinets then are labelled and easily recognisable.Hazardous cabinets are supplied in bright Yellow. 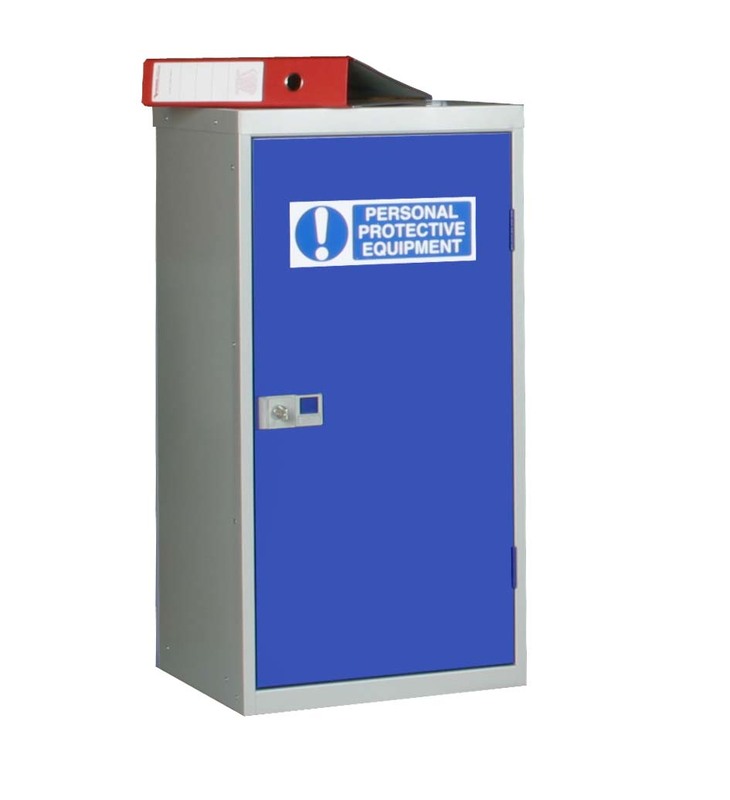 Hazardous storage cabinets are used for storing flammable and harmful substances. These cabinets are easily identifiable with clear identification labelling. 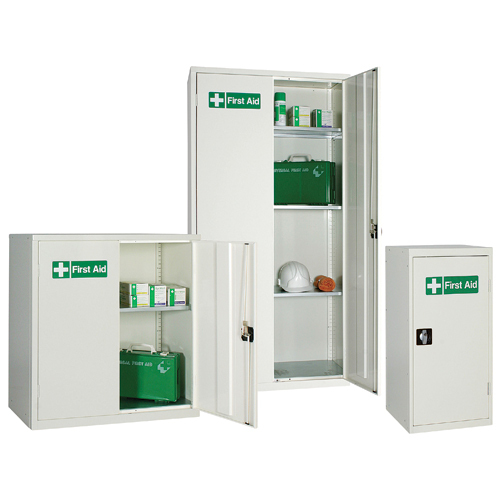 First aid cabinets are a great solution for keeping all your first aid gear in a safe and secure place. 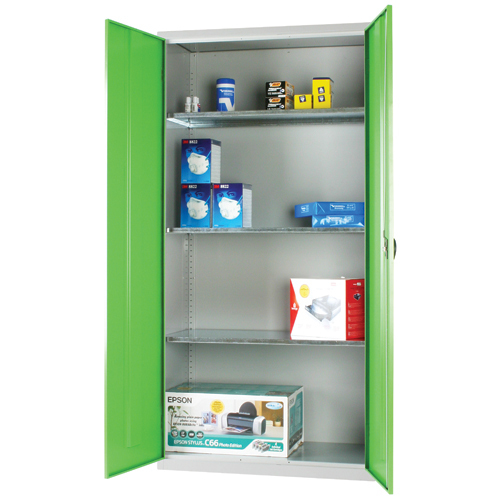 We sell a range of first aid gear that will help you stock up your first aid cabinets. First aid kits are required by Law according to British standards, if you require more knowledge give our friendly team a call. 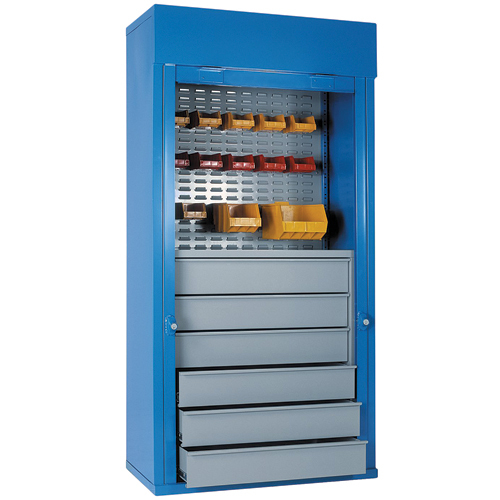 We have a selection of PPE storage cabinets, from small to large double storage cabinets that can store all your gear. With robust welding and reinforced steel doors, many of the cabinets come with a three point security locking system and solid reinforced steel keeping contents safe. 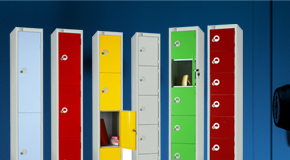 Our range of roller shutter cabinets are very secure and trusted storage solutions. 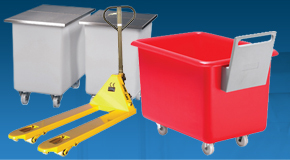 There are different sizes available in different formats to best suit the equipment or stock being stored. 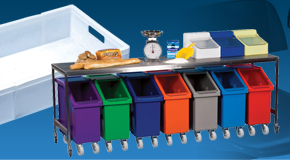 These high quality and heavy duty cabinets are popular for use in retail, warehouse and industrial environments. 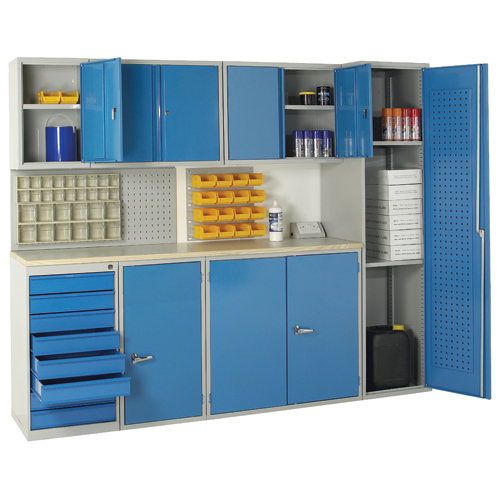 We stock a range of Modular Storage Cabinets that can be used for storing tools and equipment. These cabinets are welded with security in mind, made using strong stainless steel, they are hard to brea, keeping contents secure. We have a range of designs and sizes available, from single door cabinets to double door storage cabinets. We are fully flexible on sizes and can manufacture dimensions and sizes to meet your need. 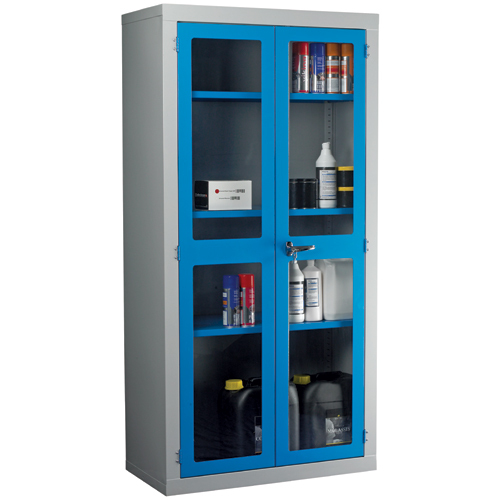 We stock a range of colours giving you the choice to select the best industrial storage cabinet for your business needs. 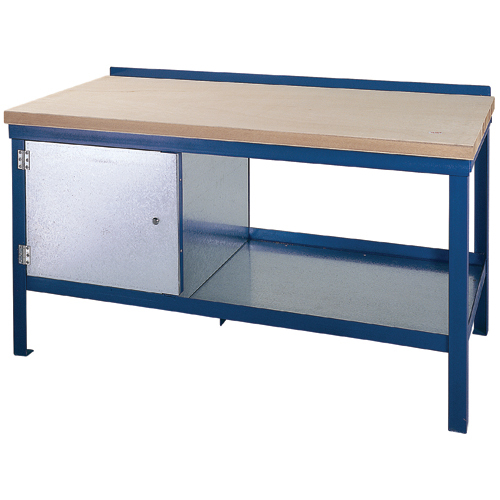 The basic chipboard workbenches are a cost effective workbench offering good value for money. They are a simple chipboard construction and give you an alternative to more heavy duty work benches. 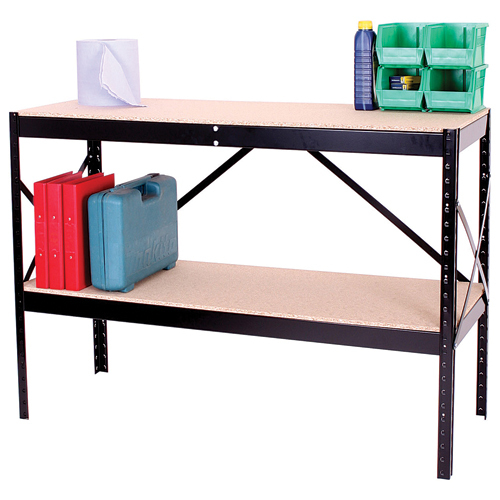 They are multi purpose workbenches that can be used in a range of industries. Modular workbenches are great if you are looking to add other workbenches in the future. They are great for use in manufacturing sites and workshops, you can easily add more workbenches to create longer sets, making these type of workbenches a excellent solution. 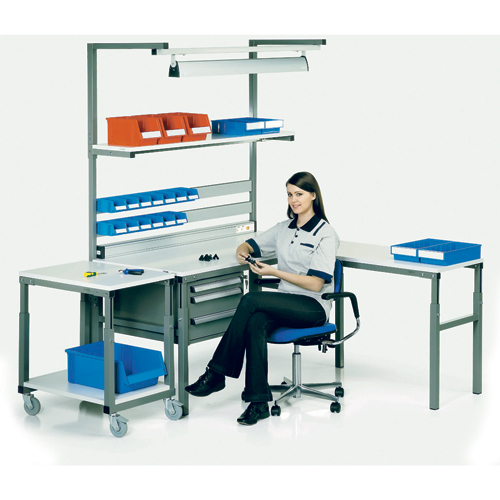 Premier workbenches are our quality range of work benches that are value for money. 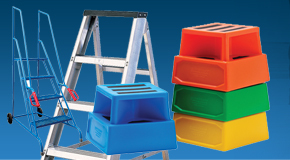 They are provided in flat packs allowing you to easily assemble and set them up at point of use. We can help you find the workbench for your business needs. If you give our sales team a call, we will be more than happy to help. 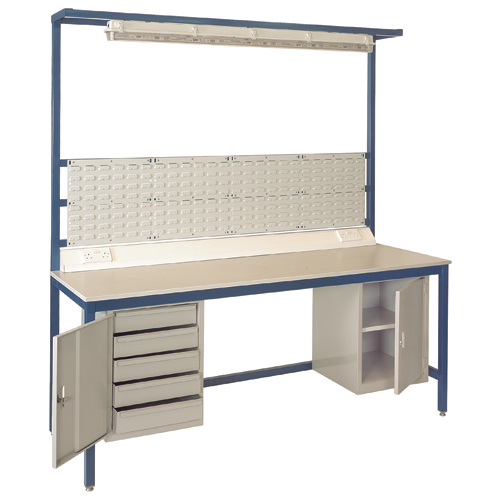 The medium duty workbenches are supplied fully assembled. It is a durable solution that is used in a number of industries. Heavy duty workbenches are top of the range workbenches that are made with quality and superior craftsmanship. They are manufactured to withstand over 1,000kg of weight and are made from only the strongest wood and steel. 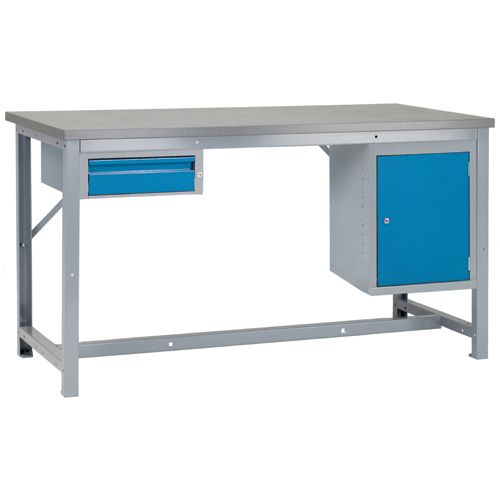 We also sell mobile workbenches and wood top workbenches in our range of heavy duty workbenches. These chairs are specially designed to be used in heavy duty working environments.